York could be in for a lively old year. Ambitions have been revealed for a number of new or enhanced events in the city. And one of them is a display of pyrotechnics like the city of Guy Fawkes has never seen before. An offer has also been made to the city by the municipality of Changsha, China – like York, a UNESCO City of Media Arts – to deliver a major firework display on the Castle Gateway site. It would involve “spectacular, leading-edge, digital fireworks”, according to a council report. Changsa would put in £200K to the event, leaving the council to find £100K. A feasibility study on the proposal is the next step. The dragon boat races on the Ouse used to form part of the Festival of Rivers. The potential fireworks display emerged as part of City of York Council report revealing that the authority has won £310K from the Leeds City Region to create more cultural events. Of the money up for grabs, £20K will go to build up the Festival of the Rivers. This will help deliver a “five-day, vibrant, inclusive, community-enhancing arts-based experience” that is free to all. Another £90K goes to the team behind last year’s York Mediale. They are being asked to deliver new cultural programmes “to ensure that Mediale becomes not just a biennial festival but plays a wider role in maximising York’s designation as a UNESCO City of Media Arts”. Much of the programme is aimed at supporting more events in the Castle car park, as part of the Castle Gateway project to transform this area. Looking ahead to the next York Mediale, the team have been asked to commission a major art event to headline the 2020 festival. This will involve a “globally renowned artist” working with lots of local people for a commission staged at at the Castle Gateway site. And later this year, the team will “curate a programme of community and other events on Castle car park”. These will be in addition to Shakespeare’s Rose Theatre, which will return in 2019. The Mediale team will also organise four resident consultation events in different locations, including Castle car park, and target residents who do not traditionally engage in cultural or consultative events. All the details will be discussed at a decision session for the executive member for leisure, culture and tourism on Friday 25 January. 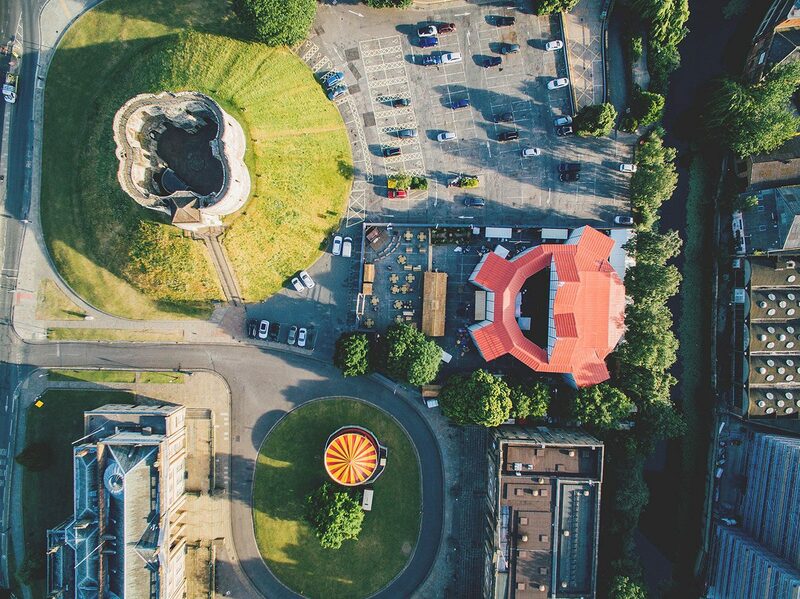 These projects give us a real opportunity to shape the city’s cultural offer for the next generation and ensure that York is recognised for its world-class cultural offer. Well, if you read the report carefully its not really free. We’d have to contribute £100,000 towards the cost of the fireworks themselves and pay for the event itself which would no doubt bring our contribution nearer to £150k +. In an election year and with homeless people dying on our streets and other more important priorities I hope that the feasibility study will give this short shrift.